Handcraft There are 236 products. 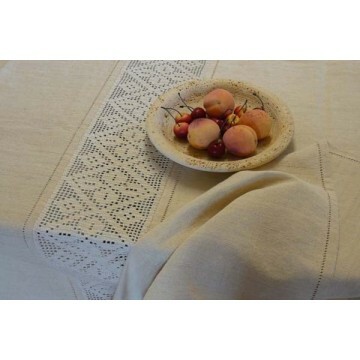 Hemp tablecover, entirely hand woven using old balls of thread. Refined by “giorno” sewing. 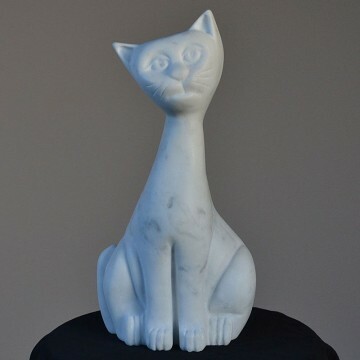 Work carved from an only block of White Carrara Marble, entirely hand-sculpted. 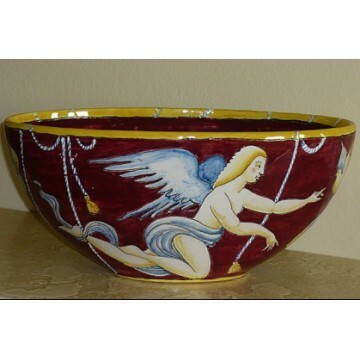 Faithful reproductions reminding the findings in archaeological sites or submarine research. 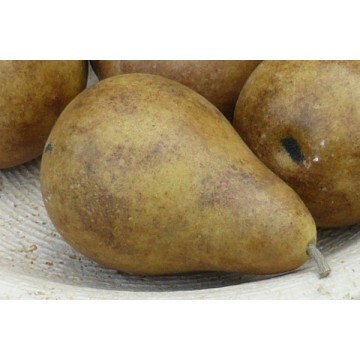 Manufacturing, competely hand made, is followed by a process of old styling giving the object an original aspect. 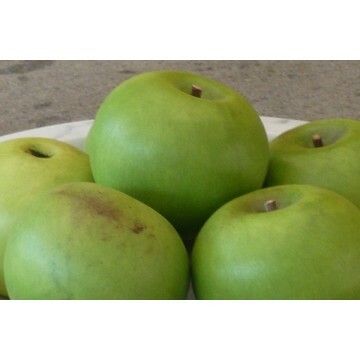 Used as furniture for gardens and terraces, since they are highly resistent to freeze. Inside the house they accompany very well every kind of furniture. 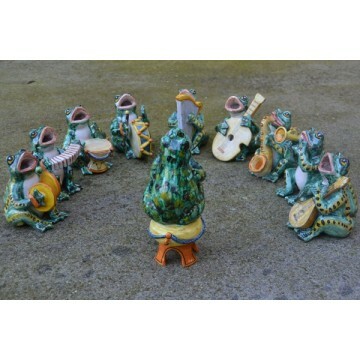 The Musician Frogs Orchestra composed by 10 members is made in Montelupo art majolica.This object is rigorously and skilfully hand made and painted by Master Craftsmen from Montelupo, therefore it appears unique in its details. 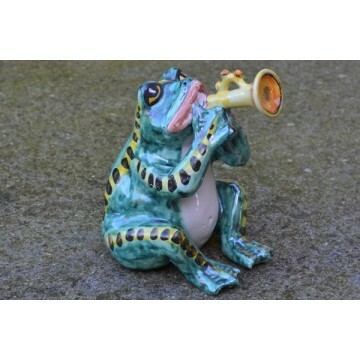 Musician frog – “The Trumpet” is made in Montelupo art majolica.This object is rigorously and skilfully hand made and painted by Master Craftsmen from Montelupo, therefore it appears unique in its details. 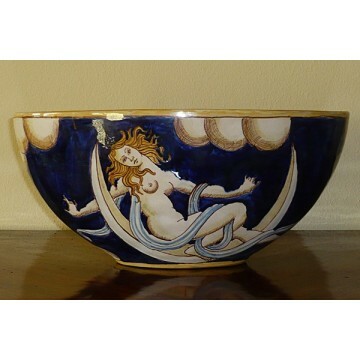 Oval vase with a reproduction of drawings by Gio Ponti, beginning of 20th century.This object is rigorously and skilfully hand made and painted by Master Craftsmen from Montelupo, therefore it appears unique in its details. 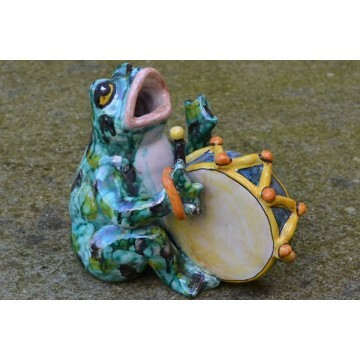 Musician frog – “The Bass Drum” is made in Montelupo art majolica.This object is rigorously and skilfully hand made and painted by Master Craftsmen from Montelupo, therefore it appears unique in its details. 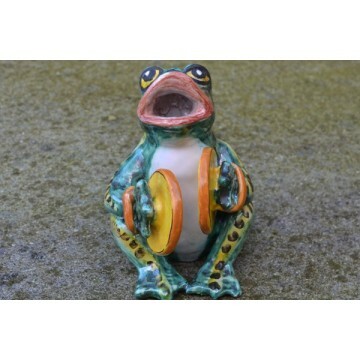 Musician frog – “The Cymbals” is made in Montelupo art majolica.This object is rigorously and skilfully hand made and painted by Master Craftsmen from Montelupo, therefore it appears unique in its details. 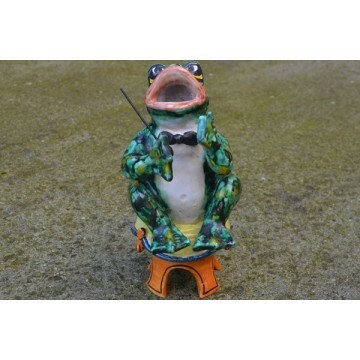 Musician frog – “The Orchestra Leader” is made in Montelupo art majolica.This object is rigorously and skilfully hand made and painted by Master Craftsmen from Montelupo, therefore it appears unique in its details. Terracotta statue with base, old-styled with wax Even Pinocchio's story, the famous wooden puppet born from the fantasy of a brilliant Tuscan as Carlo Collodi, finds an excellent place in our gardens. Terracotta jar decorated with hand painted olives. Every terracotta object can be decorated with patterns and decorations, both from classic and moder tradition, entirely handmade. 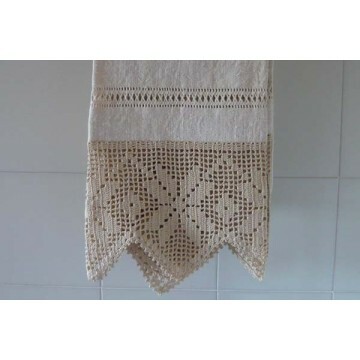 Towel in hand-spun hemp, end 19th/beginning 20th century Lace frill, handcrafted, reproducing traditional patterns of old trousseuax, end 19th/beginning 20th century. 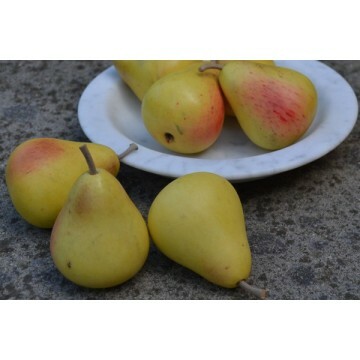 Every pear is carved from an only piece of White Carrara marble, sculpted and hand painted with pigments of natural origin and bee wax, using the same methods of Michelangelo age.Every object is made unique by little irregularities of shape and colour. Every pod is carved from an only piece of White Carrara marble, sculpted and hand painted with pigments of natural origin and bee wax, using the same methods of Michelangelo age.Every object is made unique by little irregularities of shape and colour. Every apple is carved from an only piece of White Carrara marble, sculpted and hand painted with pigments of natural origin and bee wax, using the same methods of Michelangelo age.Every object is made unique by little irregularities of shape and colour.